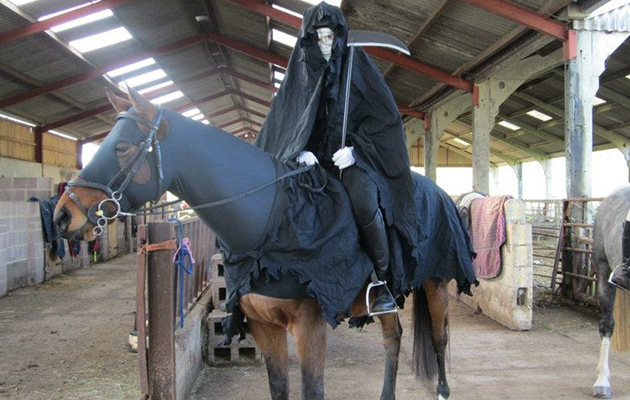 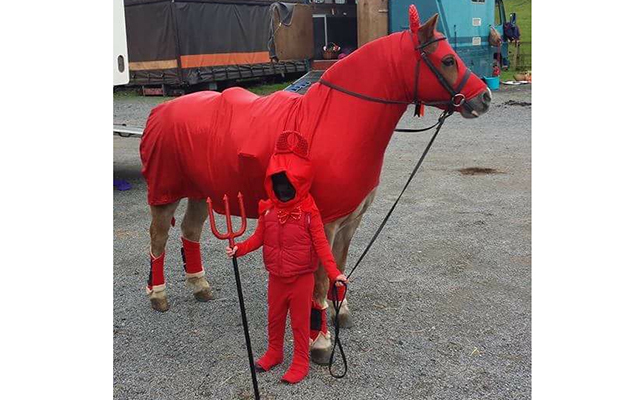 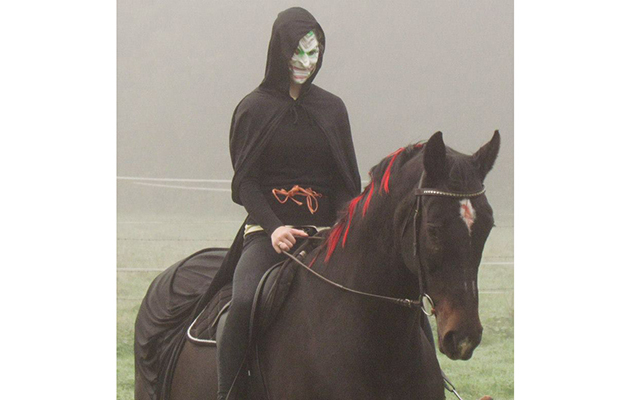 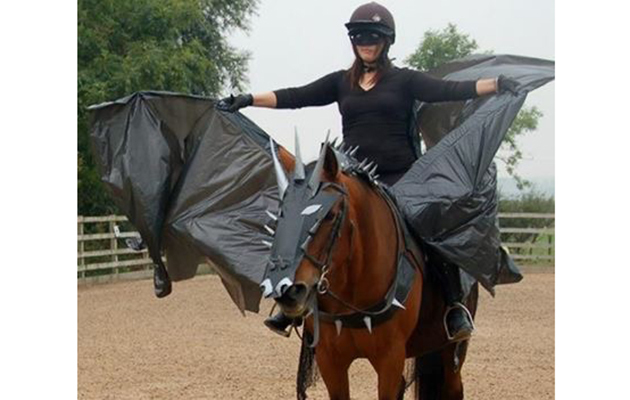 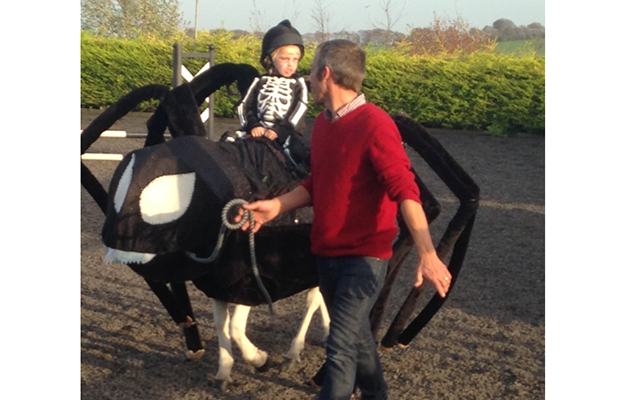 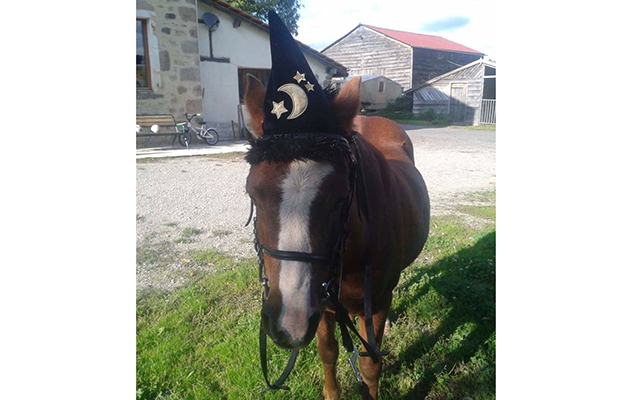 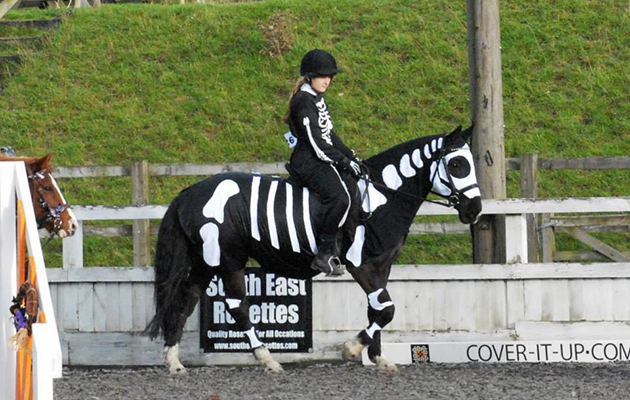 Forget trick-or-treating — dressing your horse up as a ghost/joker/skeleton/Grim Reaper is the way to celebrate Halloween in style this year. 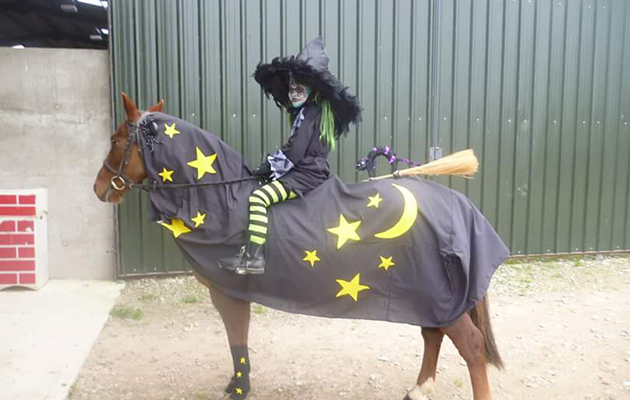 Whether you’re the type of person that slaves over a costume for months to make sure you wow on show day, or one that takes the cheat’s route of bagging a supermarket bargain, we’ve all indulged in dressing our horses and ponies up once or twice. 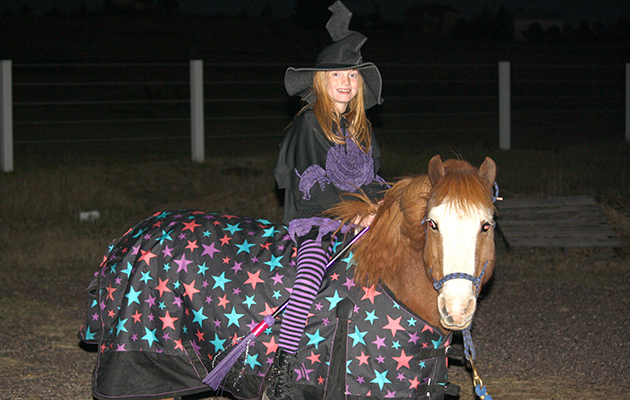 And this time of year is the perfect opportunity to go to town. 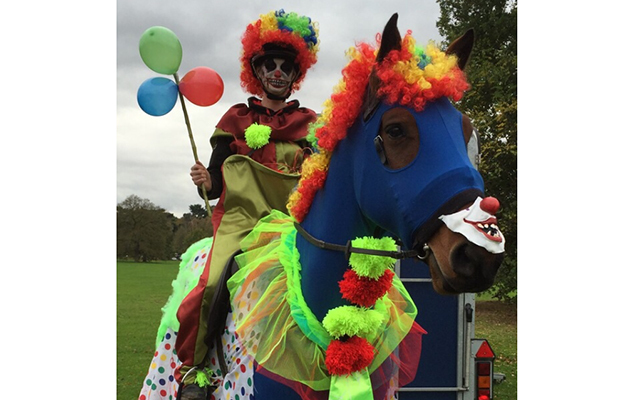 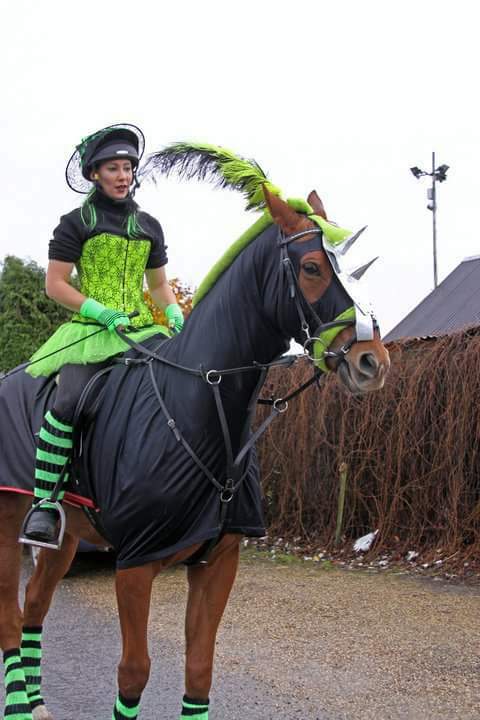 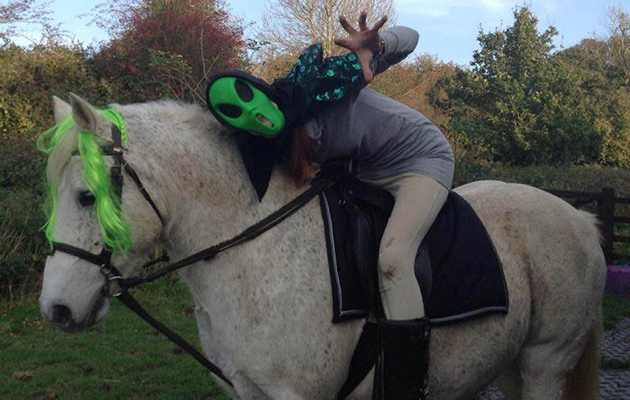 Surely your horse won’t mind a green mane, unicorn horn or fake wound? 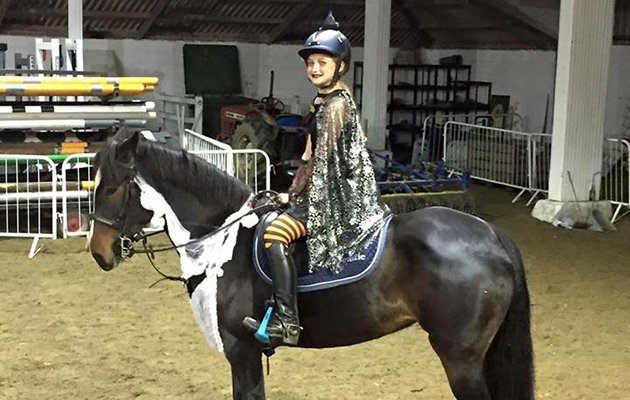 Sophie Claydon’s Welsh section A rescue pony Piper. 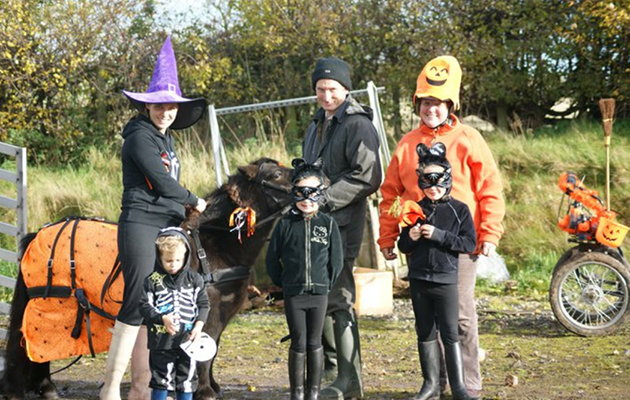 North West Driving Club members Marina and Ted Chapman with Shetland pony Morag along with friend Sue Noreci and her three children, Leah, Elsa and Jamie. 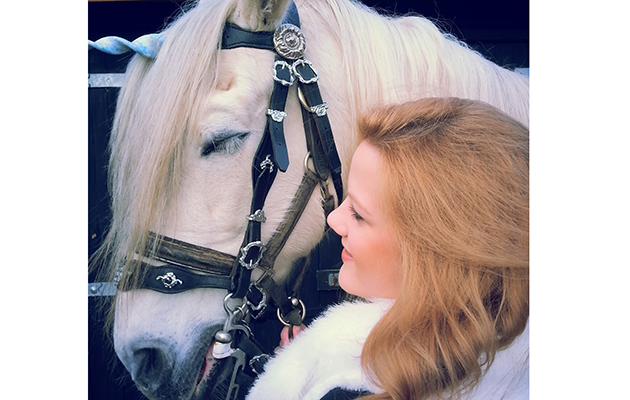 Christine Talbot with her KWPN mare Nahajola (Lola). 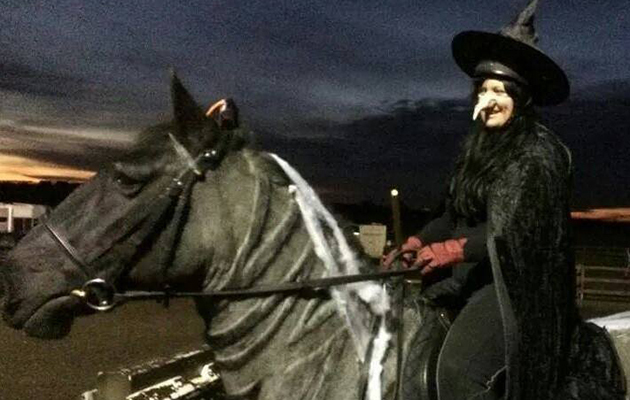 And finally… one last witch?